I think they were born yesterday as they were stumbling when they walked and today they can run; also yesterday was the first day I saw them. Mom looks a little thin, understandable after having twins, but quite healthy. Must be the varied vegetarian diet. Marlingardener wrote: I'm melting all over the keyboard. 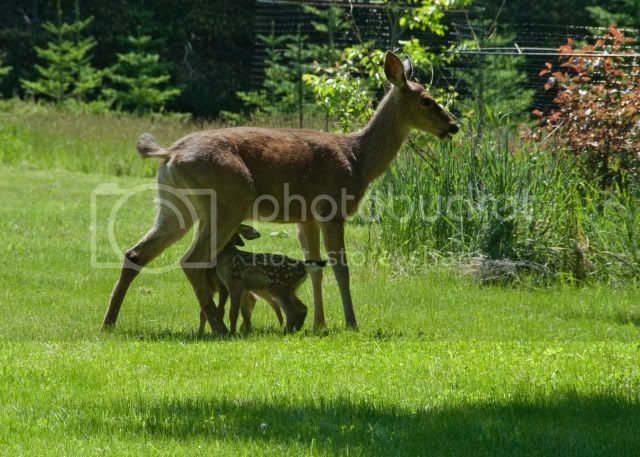 What adorable fawns and what great photos! Honestly, you must be related to Dr. Doolittle with all the wildlife around you that obviously is not afraid. Thanks for sharing your wildlife paradise with all of us. I do talk to the animals and birds, I think it makes them get used to you being around. What great pictures. Also enjoyed seeing some green. Everythingis dead here in West TX. 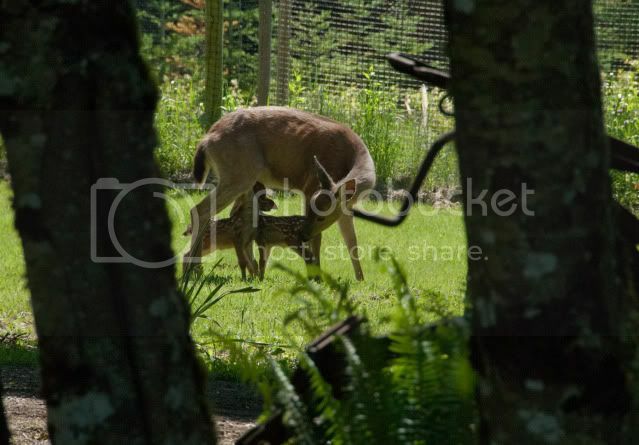 The deer we do have are so thin and small. What looks like babies are having babies. This drought is horiable. 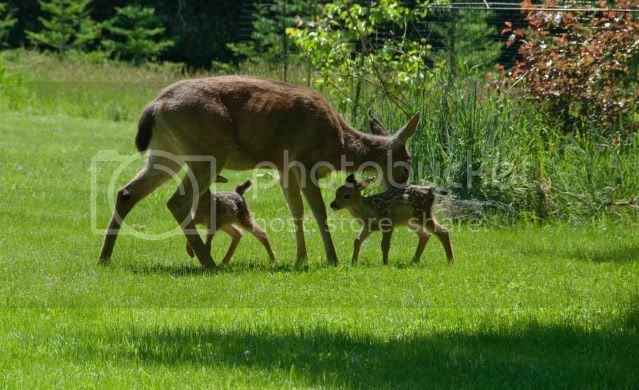 I sure hope these fawns get to grow up to be big, strong, and healthy.